A podcast about all things Macintosh. For Mac geeks, by Mac geeks. Show 193. Apple’s Q2 Earnings better than expected. Duke Wi-fi not hit by iPhone. New Leopard build not well received. iPhone hacking forges on. 6th Gen iPod won’t have the touch. Listener tip and comment from last show. Theories on “The iPhone Gap”. Premiere of the I have something to say segment, Convincing PC owners to switch. Dvorak is OK with the Mac. 10.4.10 brings Airport woes for some. Migrating data to a new Mac. Alternative Paint apps. As you have no doubt noticed by now there was no Maccast last week. Because of that I wanted to do a quick post and fill you in on what happened. First, I am still here and I am still doing the show (I am sure most of you knew that, but just in case). Now, typically I like to get at least one show out a week, but last week some things came up and life took over. It was typical summer stuff, friends and family were in town and I fell behind in my show prep. I was all set to get a show out on Saturday or Sunday when we a family emergency happen Saturday afternoon. I can tell you there were some scary moments and many of us were concerned, but it worked out and everything is fine now. Our family and friends were great and everyone rallied together to support each other through the weekend. Needless to say there is no show for last week, but I wanted to tell you I’m still here and I will no doubt be talking to you real soon. Thanks for your support and understanding. I don’t normally cross-post, but this little iPhone tip came across my RSS feed and I thought it was so clever I had to share. Smoosh away! So you’ve got one o’ dem shiny new iPhones and you’ve been pinching and flicking and browsing and occasionally even making phone calls all week. How about some killer custom contact photos? We adore these trapped-inside-the-iPhone style contact pics we found via our pal Brad Smith. The technique yields amazing smooshed contact photos (’smooshtacts!’) for an iPhone, but it also makes a great background pic for any other mobile phone. Even on an 802.11g network you can achieve some pretty fast transfers between your Macs & PC’s, provided one detail: one of the computers you’ll be transferring to or from is hard-wired via Ethernet. Every wireless network has a threshold of bandwidth available on it which is somewhat in flux, due to the distances the connections are made at; the variety of devices on a network and their respective transfer speeds; and the amount of traffic on the network at the time you make a transfer. Making a transfer of a 1.18GB video file from my Core2Duo Macbook wirelessly to an Ethernet wired Core2Duo iMac through my 802.11n Airport Extreme, I achieve wireless speeds of around 11.3Mb/sec. In terms of time, that 1.18GB video file took less than a minute to complete. Making the same transfer with both computers wirelessly connected to the Airport Extreme, the transfer speeds were more than sliced in half. Why? Special Offer Use the link and get 20% off DiscLabel. Leave it to Apple to think of everything. I wanted to tell you about my experience with Apple. I had my iPhone for 5 days when I realized that it had stopped working correctly. If I used the earbuds, or the speaker, everything was fine. If I held it to my ear I couldn’t hear the call and the other party on the call couldn’t hear me. I called Apple and went through all the troubleshooting procedures, and the technician determined that it was a hardware issue and needed to be repaired. 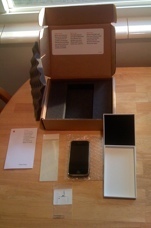 He arranged a “loaner” for me and told me to send in my own phone when the loaner arrived, that all the instructions would be in the box. 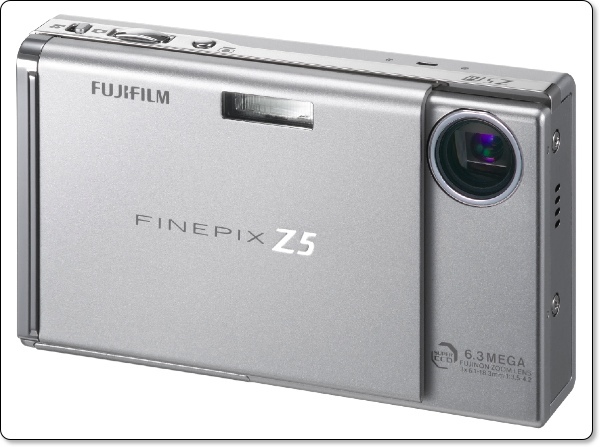 The Fuji Finepix Z5fd is a compact 6.3 megapixel digital camera. This baby is really compact, small enough to fit in your shirt pocket. The 2.5-inch LCD screen is pin sharp too, which is a good thing, as you use this for framing up your shots as well and viewing playback of your photos. A quick rundown of the specification of the Z5fd will help you to see just how featured packed this camera is. As previously mentioned you get a 6.3 megapixel resolution, a 2.5-inch LCD screen, picture stabilization and natural light modes, face detection, up to ISO 1600, 3x optical and 6.2x digital zoom. The camera has 26MB of internal memory, but no xD memory card supplied. It also has 14 quick scene modes, for things like portrait, night, and sports shots. A little more (EDIT- actually a LOT more) on the phone itself: A friend grabbed mine from me at midnight and wouldn’t let go of it for an hour last night! The interface is intuitive enough that he only had to ask me once or twice how to walk through the features. Setup was too damn easy. I’d planned on a couple of hours setting it up, getting contacts synced and all that, even though I knew it was just iTunes easy. It took 5 minutes to walk through the setup, a few more to get the activation email, and a few minutes for my contacts, calendars and music to sync into the phone. Almost boring! LOL I had no problems with activation like I see some are complaining about on the news. A podcast about all things Macintosh. For Mac geeks, by Mac geeks. Special coverage of iDay, Apple’s US launch of the iPhone. We talk with several fans as they wait on line at the Fashion Valley Apple Store in San Diego, CA and try to get a perspective on why the iPhone is in such high demand. Later we talk with new iPhone owner, Victor Cajiao (Typicalmacuser.com), and get his first impressions on the new device. After just 3 hours of ownership Victor gives his first hand account of purchasing, setting-up, and using his new iPhone.